Here is a small tip I came across a while ago. In this post I will show you how to remove third party offers and advertisements during Java updates. You can follow this video tutorial or follow my written steps below. Step One: Search for Java in your start menu. Click “Configure Java“. Step Two: Go to the Advanced tab and scroll down to the bottom. 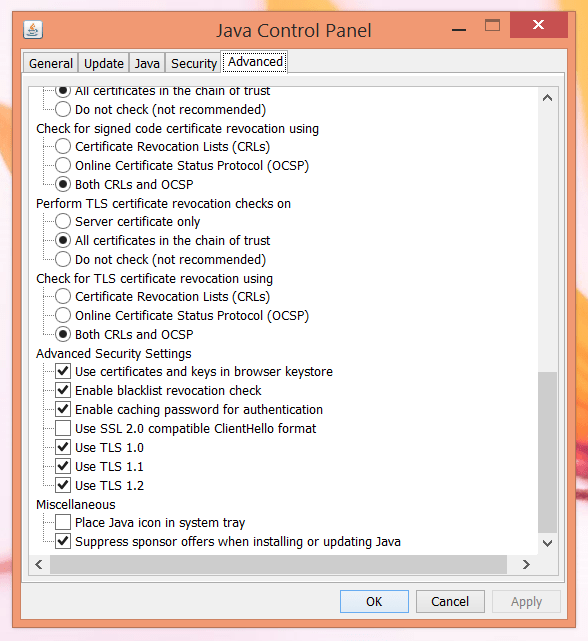 Step Three: Check the following box “Suppress sponsor offers when installing or updating Java”. Save your settings. Now that you have this setting checked you won’t see any more third party offers or programs to install. Please follow me on Google Plus and Twitter if you want to see more content like this. This entry was posted in Tips and tagged Advertisments, Adware, Java on May 27, 2015 by Merlin Halteman.